Having your cake and eating it - also known as hacking your PS3 and still going online - has suddenly gotten very expensive. Hackers are a resourceful bunch, and despite Sony's best efforts to stop them, they've still found ways to connect to PSN, even with jailbroken consoles. But now it seems that those halcyon days are over, as Sony has patched the holes in its fence that were allowing hackers to get in. This isn't the same thing as Microsoft's annual sweep for modded Xbox 360s, as Sony doesn't seem to be blacklisting consoles. Instead, it appears that Sony has fixed the exploits that were allowing owners of hacked and jailbroken PS3s to use PSN. There were apparently two main methods of getting online with a hacked console. The first method involved manually changing the domain name server settings on the PS3 and routing authentication requests through a web server with a hacked verification file. The second method was similar, but diverted the requests to a proxy server via a PC instead. Sony seems to have been able to render both methods ineffective. 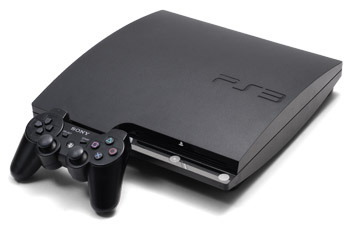 PS3 hacking forums are suggesting that people with jailbroken consoles do one of three things: buy a second PS3 and use it for going online, get rid of the hacks and update to the latest firmware, or wait it out and hope that someone comes up with another way of getting online. None of them is an ideal solution, obviously, but that's the risk you take - or one of the risks, at least - when you jailbreak your PS3.